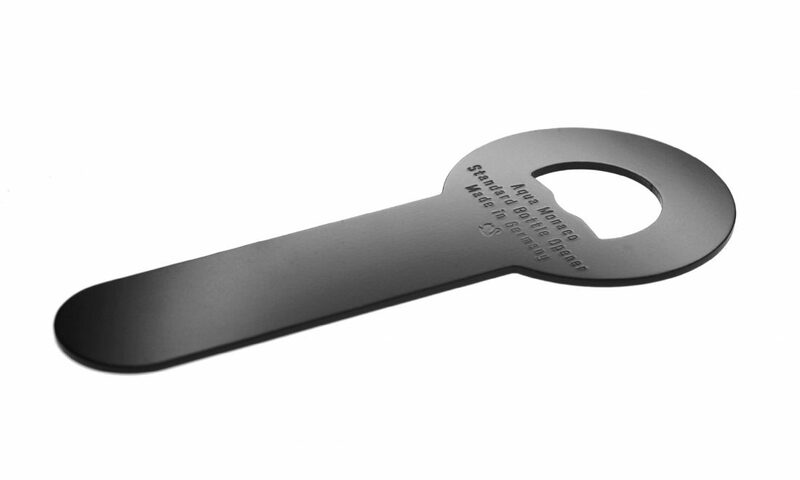 Our all new standard tool. 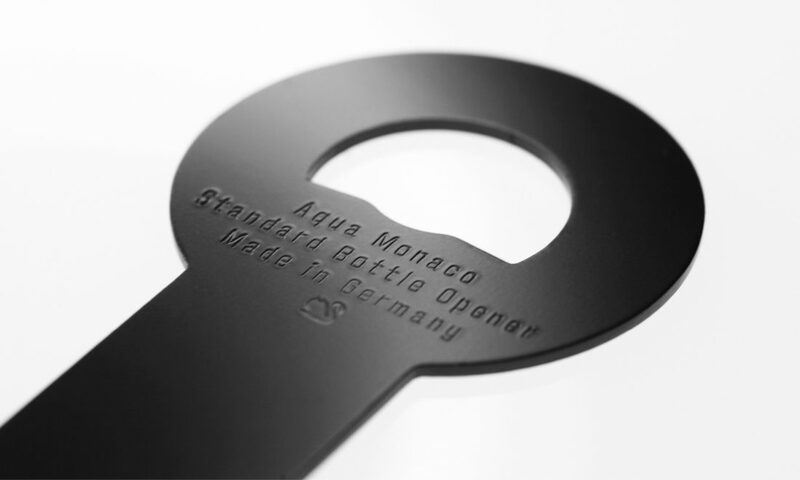 A puristic bottle opener made from black metal. 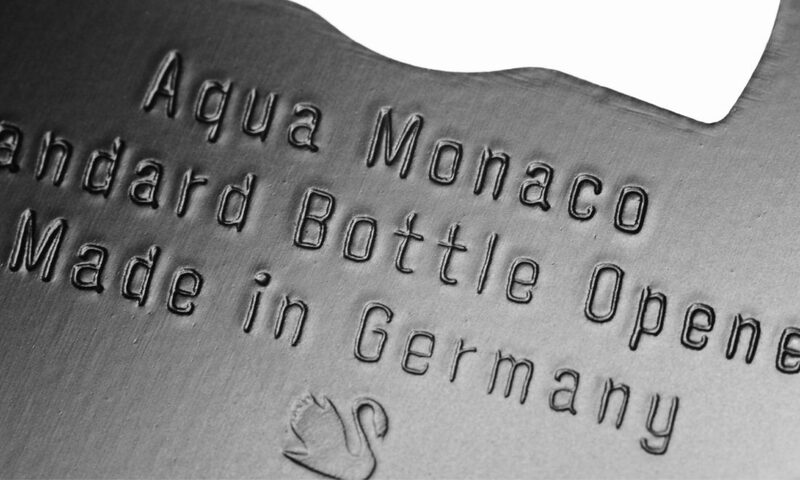 Designed by ourselves, crafted in Germany: «Aqua Monaco Standart Bottle Opener».